Venter was drafted 23rd overall in the 2014 MLS SuperDraft by the LA Galaxy. TUCSON (February,5 2019) -- FC Tucson announced today it had signed former USL defender Kyle Venter for the 2019 USL League One season. Per club policy, the details of the contract will not be released. Venter, a native of Aurora, Colorado, has spent the last five seasons of his career on various professional teams. His most recent stop was with USL Championship side Penn FC. 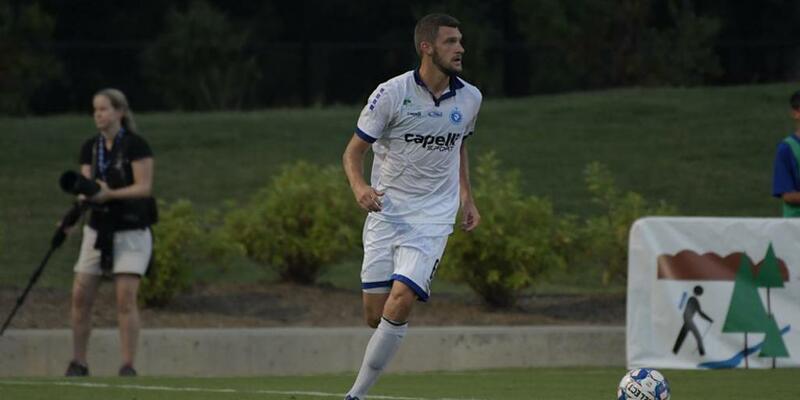 In 25 career appearances for Penn FC, Venter netted two goals in 2,174 minutes of play. He was selected 23rd overall in the 2014 MLS SuperDraft by the LA Galaxy. He appeared in nine matches for the LA Galaxy II club on a brief loan spell. He registered one goal during his time with LA Galaxy II. With the addition of Venter, FC Tucson’s roster now stands at 13 players for the 2019 USL League One season.